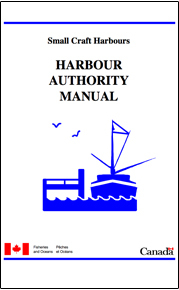 Harbour Authority Manual (1998) This manual is intended to be a practical guide providing general information on the administrative, financial, operational, and environmental management aspects of setting up and running a Harbour Authority. Incident Report (This report is required for every accident causing property damage or bodily injury arising from or involving harbour operations including operation of harbour equipment or vehicles or maintenance of harbour facilities. Environmental Inspection Checklist (This report should be completed at the beginning of the season and every two months until a final report when your harbour shuts down for the winter months. Signed reports should be kept on file. Items on the report should be monitored daily. Any concerns should be addressed immediately. Building Application (Preliminary Approval) - Application for Preliminary Approval from Small Craft Harbours to construct and/or modify buildings on property administered by an incorporated Harbour Authority. Building Application (Final Approval) - Application for Final Approval from Small Craft Harbours to construct and/or modify buildings on property administered by an incorporated Harbour Authority. Vessel Report: (Your Harbour Authority should utilize this report to keep track of vessels at your harbour. This information is very helpful for billing purposes and also when Small Craft Harbours submits projects for approval and funding. If your Harbour Authority decides to use this form could you please forward me a copy when completed) Excel Version & PDF Version. 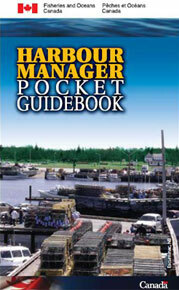 Operational Licenses (Operational licenses should be issued and signed by the Harbour Authority and the Licensee prior to any operational activity taking place on Harbour Authority Property (ie: fuel truck delivery; fish buying stations; tour boat operations; commercial diving; gear sheds, etc.). If the Harbour Authority is allowing operational activity to take place prior to having the license document signed and issued, the Harbour Authority is subjecting itself to possible liability situations if an accident were to occur on site. Safety Inspection Report/Workplace Inspection Form This report should be completed at the beginning of the season and every month until a final report when your harbour shuts down for the winter months. Signed reports should be kept on file. Items on the report should be monitored daily. Any concerns should be addressed immediately. Environmental and Safety All properties managed by the Harbour Authority of Cheticamp operate under an Environmental Management System (EMS) and Safety Plan. Offloading Application "APPLICATION DEADLINES FOR OFFLOADING SITES ON HARBOUR AUTHORITY OF CHETICAMP FACILITIES" - PLEASE NOTE THAT INCOMPLETE APPLICATIONS ARE SUBJECT TO REFUSAL. THE HARBOUR AUTHORITY OF CHETICAMP HAS NO OBLIGATION TO CONSIDER APPLICATIONS SUBMITTED AFTER THE DEADLINE INDICATED ON THIS FORM. Fee Collection Guide The following ideas have been found to be effective in collecting harbour fees. Most were suggested by Harbour Authorities themselves. We begin this guide with “Important Documents" as these must be created and known to all users in order to enforce your fee collection policy.